Hands up who loves brunch? Who loves a lazy weekend morning with everyone still in pyjamas and no where to rush off to? We do and we are betting you do too! 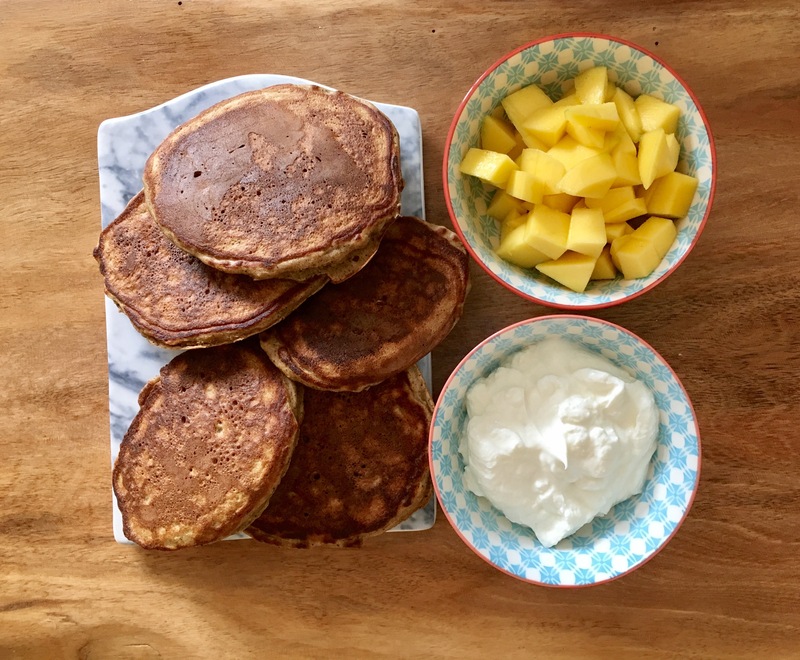 So to give you a few days to stock up your cupboards and for your bananas to get lovely and ripe we thought today we’d give you a scrummy pancake recipe that is suitable for the whole family and your easy weekend brunching! Nannies if don’t work weekends we guarantee your friends will be just as impressed if you whip these up for them this weekend! Mash the bananas with a fork and add the eggs and mix together. Then add the vanilla, bicarb and the flour and mix together using a wooden spoon. If the mixture seems a little think add a splash of milk or if it is too runny add a little more flour. In a frying pan add a small amount of coconut oil and allow to heat up. Add a tablespoon of the mixture to the pan, you should be able to make three pancakes at a time. Cook until you see some small bubbles appearing on the top of the pancake and then turn over and cook for a further minute or until golden brown. Chop up some fresh fruit and place on the table with the stack of pancakes alongside some greek/natural yogurt and a pot of maple syrup.